Walk Like MADD, Indian Rocks Beach, October 17, 2014 $35,000 was raised for Pinellas County Walk Like MADD which is a big deal for the community and building momentum for getting MADD out there to the public. 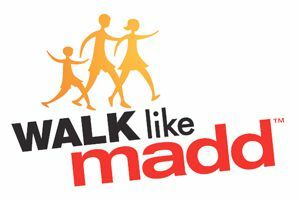 Jim Dodson Law is a proud supporter of MADD (Mothers Against Drunk Driving) and will on hand to participate in the organization's annual fundraising event: Walk Like MADD, which will be held on Indian Rocks Beach, September 19th between 5:00-8:30 p.m. Please join us in taking a stand against drunk driving and the under-age consumption of alcohol. MADD is the nation’s most prominent non-profit organization working to stop drunk driving, support victims of this violent crime, and prevent underage drinking. This outstanding organization was founded in 1980 by Candy Lightner, after her daughter, Cari, was killed by a repeat drunk driving offender. In partnership with the National Highway Traffic Safety Administration’s “Drive Sober or Get Pulled Over” campaign, MADD strives to catch drunk drivers and discourage others from driving under the influence. Due to its positive and long-standing relationships with the government, the law enforcement community, the judiciary and others committed to the safety of our communities, MADD has saved over 300,000 lives. MADD’s hard work, dedication, and the introduction of their Campaign to Eliminate Drunk Driving in 2006, have caused drunk driving fatalities to decline by 24%. Yet, there are still far too many people killed in car crashes due to an alcohol impaired driver each year. In fact, one in three, in our country, will be involved in a drunk driving crash in their lifetime. Also, as of 2009, the State of Florida was ranked 2nd nationally, in drunk driving fatalities.